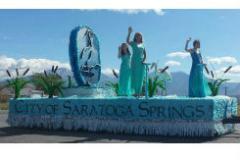 Saratoga Springs City Celebration. A chance to get together and celebrate the things that make our community great!! Saratoga Splash Days are the second week of June. Thank you to all of our Saratoga Splash Days Sponsors!! !